Game Lab parties feature the most popular games from our programming. We also have custom Star Wars and Pokemon themed parties, and epic adventures in our Dungeons and Dragons RPG parties! Our attentive, kid-friendly staff teach and guide party guests, involving all kids in the action. $480 for after school families, $600 all others. 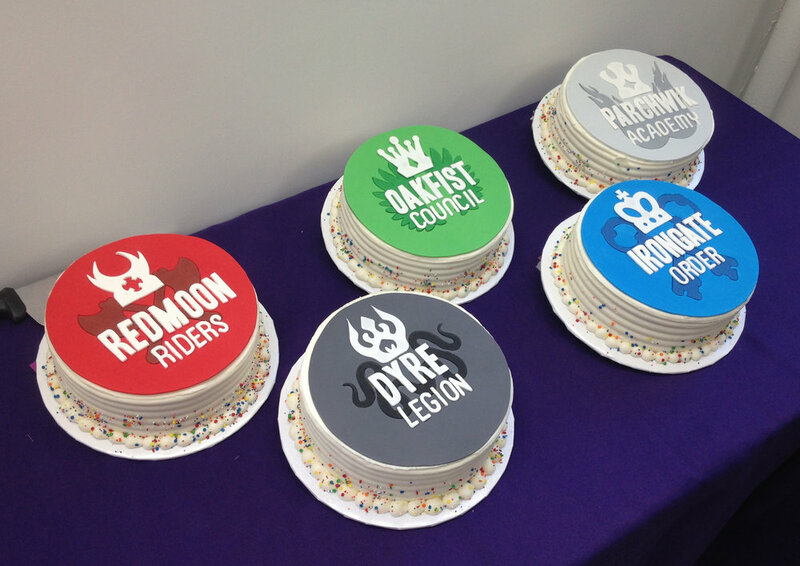 All cakes by our friends at BKLYN Cake Studio! Can younger siblings attend if they don't participate? Yes, younger siblings are welcome to stay as long as they are supervised by an adult. We have an area for younger kids, and parents of your birthday guests, to hang out and play games on their own. May I come early to setup? Yes, please come by about 15 minutes before your party starts. Can we bring decorations? What should we not bring? You can bring decorations! Balloons, while festive, can be a distraction for our younger guests. When will the food / cake be served? A break for food and cake happens about an hour and a half into the party. Can you recommend any pizza places nearby? Can we pick the flavor of our cake? Yes! Just let us know what flavor (chocolate, vanilla or red velvet), and we’ll order it for you! Is gratuity for staff included in the cost? No. We don’t include gratuity for staff in our party fee. Is cleanup included in the cost? Yes, we’ll take care of all clean up as we’re your party’s hosts!